Check out these 4 tips and generate more buzz for your nonprofit. Let’s get started! Non-profit companies need to generate buzz for their brands just as much as for-profit companies. Unfortunately, most charities and social organizations have a very limited budget to work with. The funding you get from your investors and grants may be just enough to keep the lights on in your business. That means that expensive strategies like experiential marketing and video ads may be a no-go for most. Of course, just because your budget is limited, doesn’t mean that you should give up on marketing entirely. In the United States alone, there are more than 1.5 million nonprofits battling for the right exposure and attention. In such a competitive and saturated market, your group can’t afford to stay silent. The good news is that marketing your cause doesn’t have to be an expensive process. There are a few affordable ways that you can begin to generate serious buzz for your brand. Pay-per-click advertising allows you to get your marketing messages in front of the right people, at the right time on search engines like Google. Of course, most companies overlook PPC when they’re creating their advertising plan because they assume that it’s just too expensive. The price of PPC for a company that wants to rank high for competitive keywords can reach thousands of dollars each month. However, what most companies don’t realize, is that Google has a soft spot for nonprofit brands. In fact, the search engine giant provides qualified nonprofits with up to $10,000 per month in Google AdWords spending, which they can use to improve their online presence with PPC. You can use that financial allocation to bid on the keywords that generate the most attention from donor prospects in your niche. Content is crucial to the success of your nonprofit marketing campaign. In fact, content marketing costs up to 62% less than any other advertising strategy, but it also delivers three times the number of leads. Use events as a catalyst to produce case studies about the growth and development of your nonprofit organization. Get a visual social media account with a platform like Snapchat or Instagram and share regular videos or photos that demonstrate what goes on “behind the scenes” with your group. Write blogs and articles based on what you know about your cause, and the experiences you’ve had as your organization has grown. Write about the history of your group, and what you’ve gone through to get to where you are today. Reach out to industry influencers and ask them to comment on their experiences with your brand over the years. Many for-profit companies build their marketing strategies on an “us against the world” mentality. However, partnerships can be a fantastic way to grow and enhance your professional brand. As a nonprofit organization, you’re in a great position to take advantage of business partnerships, as many companies look for chances to connect with charities so that they can establish a better relationship with their target audience. Look for partners with companies that are relevant to your niche. A charity supporting animals might partner with a local vet practice for instance. Work with your partner companies to develop your presence on social media. Use promoted posts and hashtags to expand your brand reach. Host live events where possible to introduce people to your organization in person. You may even be able to take part in industry conferences and networking events. It can be difficult for any brand to consistently come up with immersive and engaging content for their brand. Even if you use the tips outlined above. 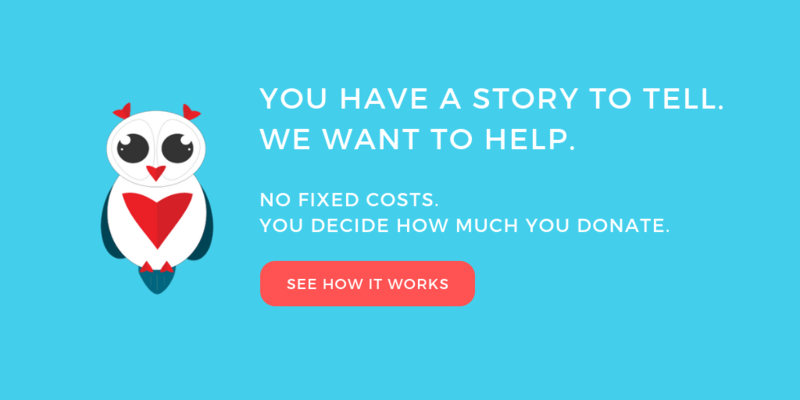 The good news is that you don’t have to have to pay for a team of writers to help you. Most charitable organizations already have the help they need in the form of their employees. Incentives and benefits: Happy, supported employees are more likely to go above and beyond for your nonprofit brand. A PEO service can help you to find unique incentives that will turn your people into ambassadors for your company. Whether it’s better health insurance or a few simple money-saving incentives, find ways to delight your team. A strategy: Make sure that you have plans in place for how you’d like your team to share information that’s relevant to your brand. Maybe you want to focus heavily on blog posts, or you prefer the idea of social advocacy. Support: Ensure that there are solutions in place to empower and support your employees as they support you through advocacy. This might mean giving them social media training sessions or implementing special tools that help them to track their posts. Make advocacy as smooth and natural as possible for your team. Marketing any organization is tough, but nonprofits can face some of the most significant challenges when it comes to advertising, thanks to their limited budget. Fortunately, there are plenty of great ways that you can generate attention for your organization without spending much money at all. The four options above offer incredibly low-cost and high-reward ways to establish the buzz that your charitable group needs. Jock Purtle an entrepreneur with years of experience growing and developing highly successful companies. He’s the Founder of Digital Exits and when he’s not running his own companies, Jock loves sharing his insights with other aspiring business owners. Share your thoughts about building buzz for your nonprofit in the comment section below. I’m really looking forward to reading your comments.